“The whole world, as we experience it visually, comes to us through the mystic realm of color,” ~Hans Hofmann (1880-1966). 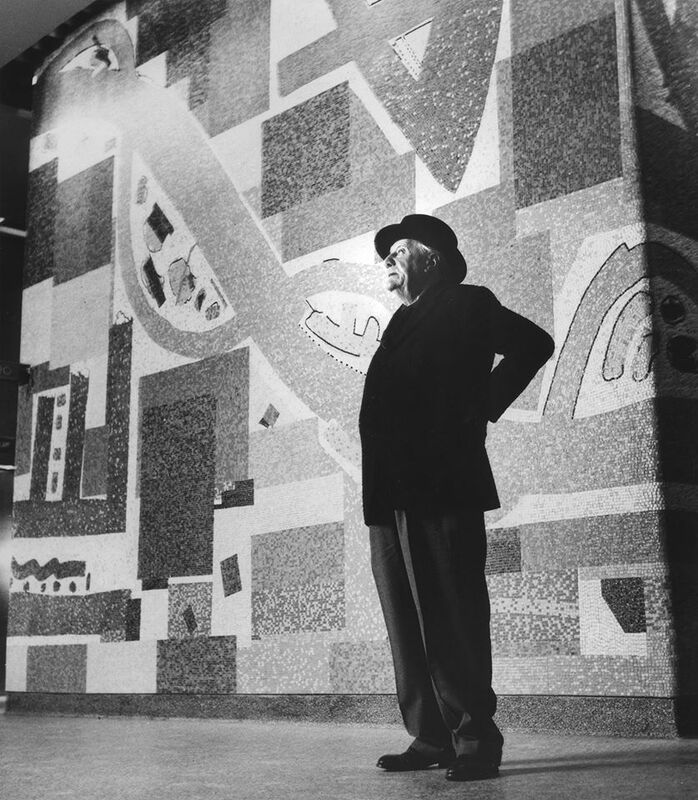 Hans Hofmann in front of his mural at 711 Third Avenue in New York City. Photo by Gene Lesser. “Walls of Color provides valuable context for the history of collaboration between architects, artists and developers. A touchstone in a city like Miami. 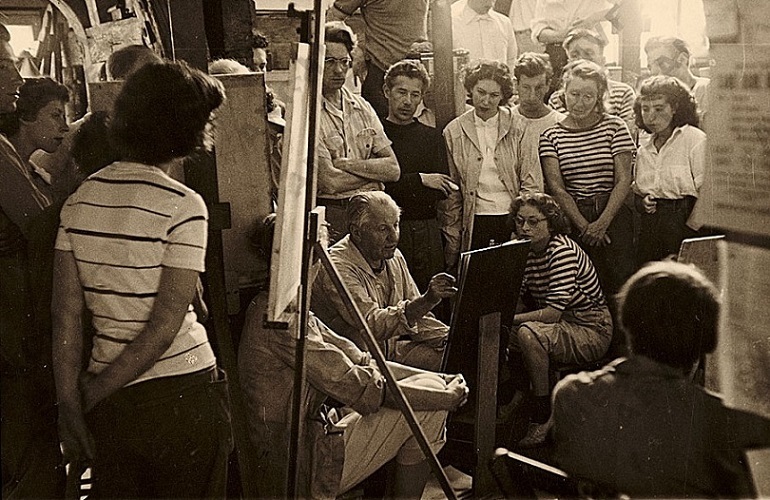 This aspect of Hofmann’s career will shed light on the wide-ranging ambitions of one of the most seminal artists of the 20th century,” adds Dr. Pomeroy. 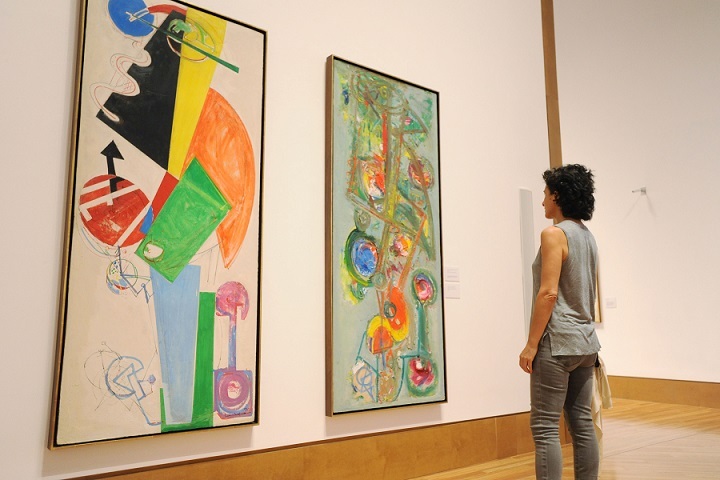 Hofmann nurtured some of the most esteemed artists of the 20th century including: Lee Krasner, Larry Rivers, Joan Mitchell, Red Grooms, Ray Eames and Helen Frankenthaler. Photo (above): Out of This World, 1945 by Hans Hofmann. Collection of the Patricia & Phillip Frost Art Museum FIU. Gift of Dr. Paul Lambert Schmitz. We went to the Venice Biennale and loved the opportunity to view miles and miles of art. Miami is a lot closer. What fun! Loved the photos.